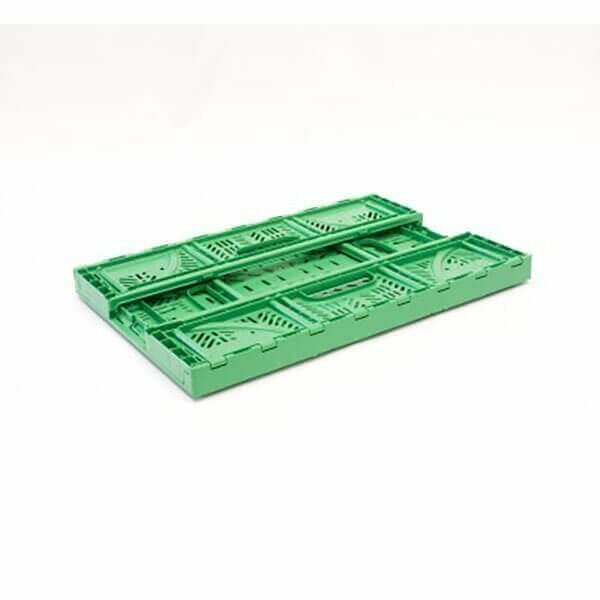 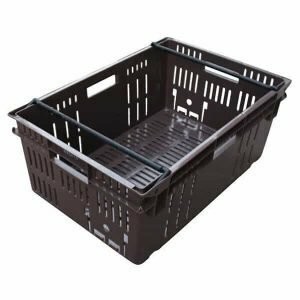 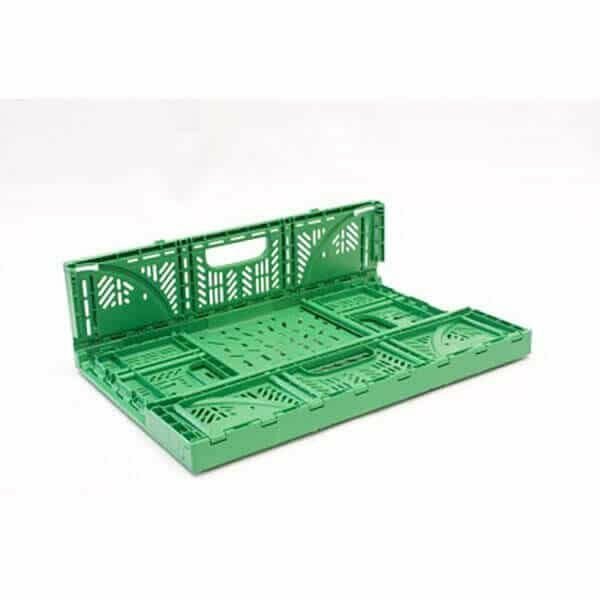 Our 35L vented crate is ideal for the bulk transport of fragile items such as fresh fruit, vegetables and other food products. 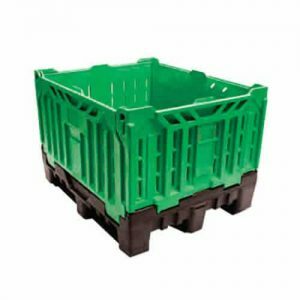 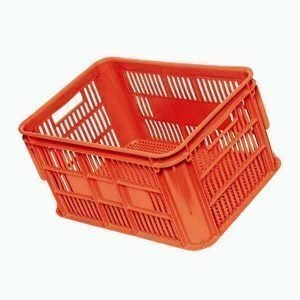 The crate’s unique design allows the sides to be fully collapsed to flat when not in use, or stacked for space-efficient storage and transport when sides are raised. 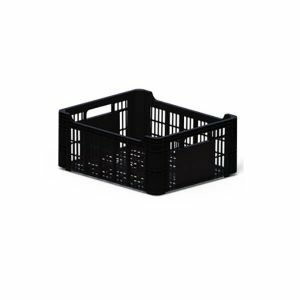 Handles on all four sides make handling easy. 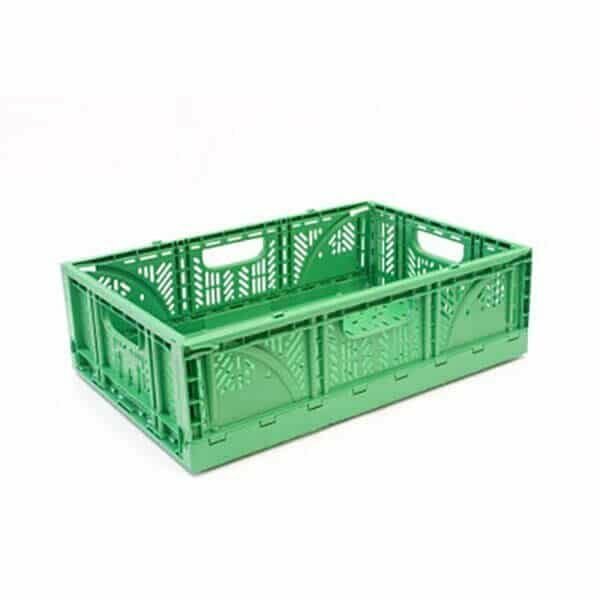 The 35L crate is available in grey, or in custom colours with a minimum order quantity (MOQ).